Eligibility. Students who have had at least two years of German and have the recommendation of their German teacher are eligible. Participants must be between the ages of 15 and 17 at time of departure and be US citizens or green card holders. Students with German citizenship are not eligible to apply. Program Costs. $3,895 including international airfare from group departure city. Special Earlybird Price! Register and pay in full by March 1 to qualify for the discounted price of $3,600. The deadline for application to the Summer Study Program is April 12, 2019. Need-Based Scholarships are available to students whose financial need merits such support. More details on this year's scholarships are available on the Scholarships page. Scholarship application deadline is April 1, 2019. Application Materials and Instructions. To apply, submit the following materials. Online Application Form. Fill in the fields and upload your Letter to the Host Family and the signed Agreement Form and Parental Declaration of Consent Form. Note: Partial progress on the Online Application Form cannot be saved. Letter to Host Family. Write a letter of introduction to your Host Family in Germany. Briefly describe your family, school, and interests, along with why you would like to participate in the Summer Study Program. Use as much German as you can. Agreement Form. Signed by you and your parent(s) or guardian(s). Click to download. Parental Declaration of Consent Form. Signed by your parent(s) or guardian(s). Click to download. Health Certificate. Completed by a health care professional. Click to download. Recommendation Form. Completed by applicant's German instructor. Click to download. Photo. 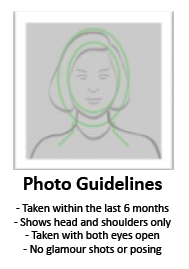 Click for photo guidelines. If you do not upload your Health Certificate, Teacher Recommendation Form, and Photo with your Online Application Form, e-mail these materials to Program Coordinator, April Ann Hemphill, april@aatg.org. Full payment is due six weeks prior to departure.